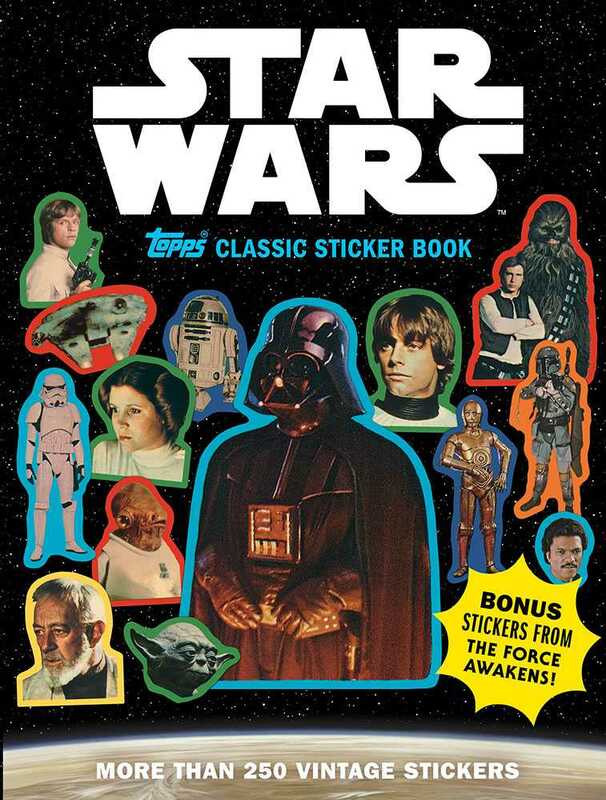 Star Wars Topps Classic Sticker Book is the first sticker book to collect more than 250 iconic Star Wars stickers—many reproduced in their original size—released by Topps between 1977 and 1983. As an added bonus, this collection also includes 18 stickers from the “Journey to Star Wars: The Force Awakens” promotion, featuring a mix of classic characters from the original films and new characters from Episode VII. In the back are five pull-out posters so you can make your own unique sticker creations on one side, or display a recreation of a classic Topps Star Wars puzzle poster on the other. Whether you are a lifelong Star Wars fan, or if you have just discovered the epic saga, this is the perfect package for fans of all ages to enjoy!